What does Dr. Rauni Kilde say about the H1N1 vaccine? You might be interested in other views of this famous doctor. Check the other YouTube videos. "Quackery has always one shuffle left." 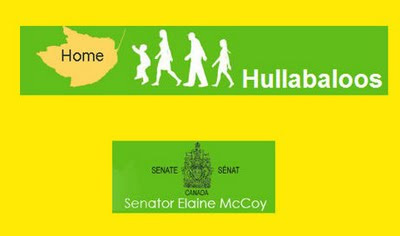 There's at least one Senator concerned about Bill C-6. 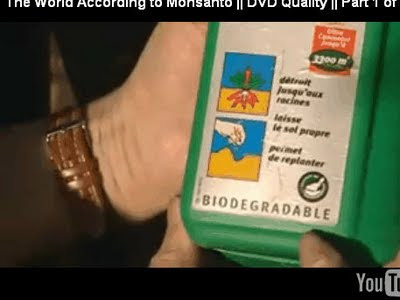 On March 11 a new documentary was aired on French television (ARTE – French-German cultural tv channel) by French journalist and film maker Marie-Monique Robin, The World According to Monsanto - A documentary that you won’t see on American television. The gigantic biotech corporation Monsanto is threatening to destroy the agricultural biodiversity which has served mankind for thousands of years. 40th anniversary of the Monty Python's Flying Circus. Giuliani received the same warning – victims and firefighters inside the tower did not. Can you explain to me the details of Giuliani's movements on that day according to his dissertation? What is the real danger if Bill C-6 is passed? Two years ago Robert Dzienkanski, a confused Polish visitor to Canada, was tasered 5 times in the Vancouver International airport. 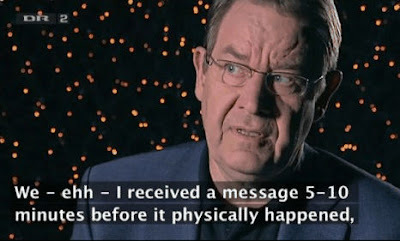 This resulted in his death and a 2 year investigation and court proceedings. Welcome to Canada! Have a taser! Have 5! They are committed to transforming the world into a socialist system with them at the top. The winner of the 2009 Nobel Peace Prize has just been announced -- and it's US President Barack Obama. We've seen big shifts since Obama replaced George W Bush. The Nobel committee say they're rewarding him for the hope he’s sparked. He deserves our congratulations! But on too many urgent issues, Obama is still boxed-in by stubborn interests, holding him back from bold action for peace. In his Cairo speech this June, Obama spoke of “the world we seek” -- one where “extremists no longer threaten our people, and American troops have come home; a world where Israelis and Palestinians are each secure in a state of their own” and nuclear energy does not trigger conflict -- a world where governments serve their citizens, and the rights of all are respected. Obama’s words have offered a compelling vision of profound change: all this cannot be achieved overnight. But his push for Middle East peace has not yet been strong enough to overcome the resistance of hardliners in the region. Meanwhile, hawks and conservatives in the US are pressing him to commit 40,000 more troops to Afghanistan, instead of changing course to focus more on peace, development and diplomacy. There is a real risk today that the hope of change will be lost. Leaders are judged finally by their actions, not their words. Only by following through with courageous, transformative action for peace can Obama fulfil his promise -- and only then will history judge that this Nobel Peace Prize is truly deserved. Have you heard of the Two Rivers Detention Facility in Hardin, Montana? APF’s head miscreant Michael Hilton and his posse arrived in Hardin last week, driving three Mercedes SUV’s that were emblazoned with logos identifying them as the “City of Hardin Police Department.” A box of glazed donuts on the dashboard completed the image. Residents were understandably confused, as Hardin doesn’t, uh, have a police department. When someone gets stabbed with a screwdriver at the trailer park, or a shoplifter is nabbed with a ham in his pants, it’s the Big Horn County Sheriff who gets the call.